A few weeks ago I popped into Toni & Guy to have my hair cut (eek! the dreaded haircut I put off for months) and my hairdresser introduced me to Kérastase hair products, particularly their leave-in and styling products. Ever since my visit, I had been toying with whether to pick up a few items from their range to add into my everyday haircare routine. I must admit, I'm incredibly low maintenance when it comes to anything to do with my hair and I loved the fact that Kérastase had so many leave-in treatments in their range. Since my hair appointment, I was recently in contacted with a lovely company named The Beauty Booth. They are an online retailer that sells a whole host of products from amazing hair brands, with products for both men and women, along with skincare & electric hair styling accessories too. I was very kindly offered two products to try from their website and of course, I naturally gravitated towards the Kérastase range. After a lot of thought, and being a little spoilt for choice, I finally settled on the Elixir Ultime Beautifying Hair Oil* and Elixir Ultime Creme Fine*. The range that I picked items from, Elixir Ultime, boasts to be enriched with sublime oils to leave hair nourished and shiny. I have been trying out both of the products I received for a little over a week now and I have been reaching for them after every hair wash. As I touched upon, I'm very low maintenance when it comes to taking care of my hair and I love the ease of use when it comes to using both the hair oil and cream; the oil is designed to be applied to dry or wet hair whereas the cream is solely designed to be applied to hair that is damp. After I have washed my hair each night before bed, I have ran a small amount of the cream through the mid lengths to the ends of my hair before blowdrying and I have been using the oil, particularly in the mornings before work, to add an extra bit of nourishment and shine. It's advised to use 1 or 2 pumps of the oil on each use but I have been mostly using 1 as I have quite fine hair and have found that it doesn't need a lot more product to give it a soft looking shine. Another thing I love about each product is that they don't leave my hair feeling weighed down or greasy at all; both of the products feel very natural on application are very quick to dry, without leaving any unwanted residue. I'm already looking forward to trying out other items from the Kérastase range as I have been so impressed with how my hair has been left looking after just 1 week of use; I have actually received compliments on how my hair has been styled this week and I like to think a little of that comes down to using these products teamed together. I was also super impressed with The Beauty Booth on the whole; from their customer services to their product ranges, I would love to use their store again in the future (GHD Copper Luxe range, I'm looking at you, um, swoooon) and I would recommend them to anybody looking for a retailer of higher-end hair care in particular. I'm a firm believer that customer service goes a long way and I found their lovely social media team to be so helpful and I was very impressed also when both products arrived with me just a day after choosing them. 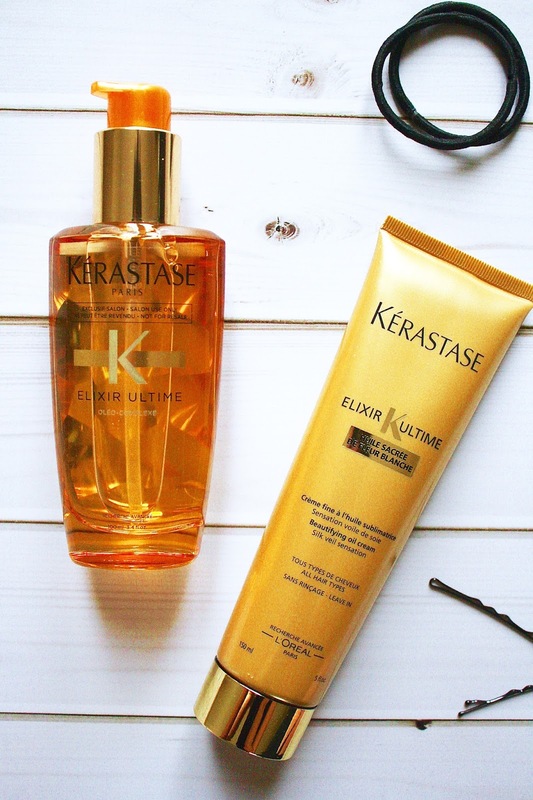 Have you tried any products from the Kérastase range?